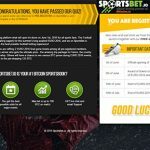 SportsBet.io is a Bitcoin-only sportsbook powered by CoinGaming and promises an excellent mix of competitive odds and widespread sports coverage. CoinGaming.io is stepping into the sports betting arena with an interesting offering. 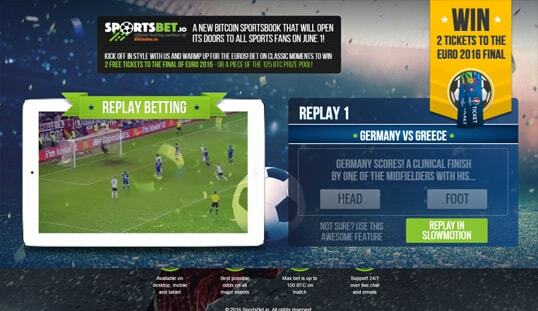 SportsBet.io is a sports betting platform focused on Bitcoin users, and it looks to be a good one. 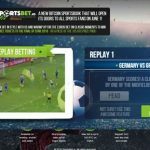 Launched in June 2016, SportsBet.io is a great-looking sportsbook. With a Curacao license, the site runs on the CoinGaming platform to power both the sportsbook and the casinos. It comes with the select game content providers that deliver top-quality games and high-level entertainment for every players residing in countries where online gambling is not illegal. The main attraction of the website is the sports betting feature that accepts both pre-game bets and live bets. The sports covered include basketball, soccer, ice hockey, boxing, horse racing, and others, together with popular tournaments like NFL, NBA, and MLB. Another great feature here is that it features over 350,000 pre-match events every year from as many as 70,000 events during what the industry calls the prime months. For those who want to wait for a game’s results by doing something else for some time, the site also offers a casino section where players can play normal casino games, ranging from online slots to table games like blackjack, roulette, and baccarat. Live casino tables are also available here. The main point of pride of the site is the fact that it is a great sportsbook. This is immediately obvious as visitors first arrive on the site. All of the sports information that they need is available with just a click. The site betting slip is also very responsive, allowing people to organize and manage their bets with ease. Additionally, the site looks great and is properly arranged so that players can easily identify its parts. 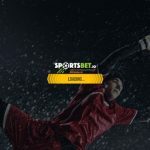 Also key to the success of SportsBet.io are the different game content providers, including Play’n GO, Betsoft, Pragmatic, Isoftbet, Booming, Edorphina, GameArt and OneTouch, among others. Meanwhile Ezugi, Betgames and Evolution are in charge of the live casino betting. Account registration is easy. All a player needs to give are a username, password, date of birth, and their email address. After a simple confirmation, players will now be ready to play. At most, this process will only take a few seconds. Since the site uses Bitcoin as its basis for transactions, expect for deposits and withdrawals to be processed quickly. CoinGaming.io’s flagship site—BitCasino.io—only requires a few minutes to process transactions and they will try to do the same for SportsBet.io. The minimum deposit amount is 1 mBTC. Monthly Leaderboards award the best punters with massive prizes. If you like to be part of the promotions where you don’t need to spend your own money, then Moneyback offers are something that you need! Make your risk free bets and get a full compensation if your favourite team will lose. Both Sportsbook and Casino games are available on your smartphones and tablets. It is pretty easy to use mobile version of the websites and fun to make bets on the go! The site has a live support button. Click on it and you will have access to a chat with a representative. This ensures that you will be able to have help with your concern immediately. 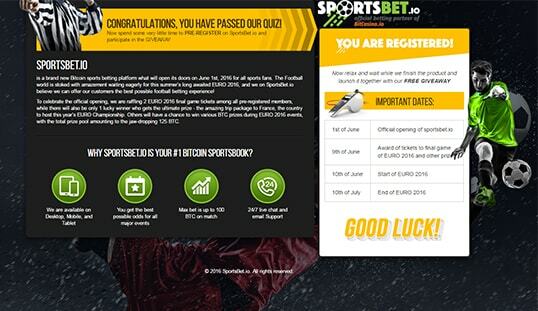 Email support is also available in this Bitcoin sports betting site and casino.